19 September 2017 – Manila, Philippines: The largest sports media property in Asian history, ONE Championship™ (ONE), has just announced another blockbuster evening of world-class martial arts action as ONE: LEGENDS OF THE WORLD hits the Mall of Asia Arena in Manila on 10 November. In the main event, reigning ONE Lightweight World Champion Eduard “Landslide” Folayang defends his title against ONE Featherweight World Champion Martin “The Situ-Asian” Nguyen in a cross-divisional showdown of epic proportions. 28-year-old Martin “The Situ-Asian” Nguyen of Sydney, Australia, is a highly-skilled finisher and one of the most talented featherweights in martial arts. In his most recent bout, Nguyen stepped into the ONE Championship cage last August, scoring the biggest victory of his career when he stopped former undefeated featherweight champion Marat “Cobra” Gafurov in Macao to capture the ONE Featherweight World Championship. Sporting a 9-1 professional record, Nguyen’s all-around skill set allows him to compete at the highest level of competition. 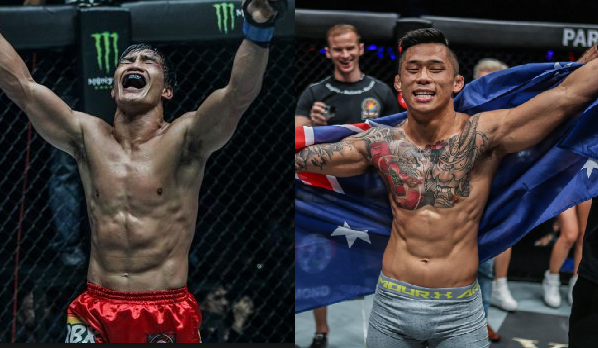 In a much-anticipated battle between division champions, Nguyen is set to face the Philippines’ Eduard Folayang in Manila.